DRS 37603 leads 37606 with DRS 66304 on the rear powering the 1Z37 Crewe to Tondu Llynfi Goods Loop "The Coal Grinder" Pathfinder railtour. 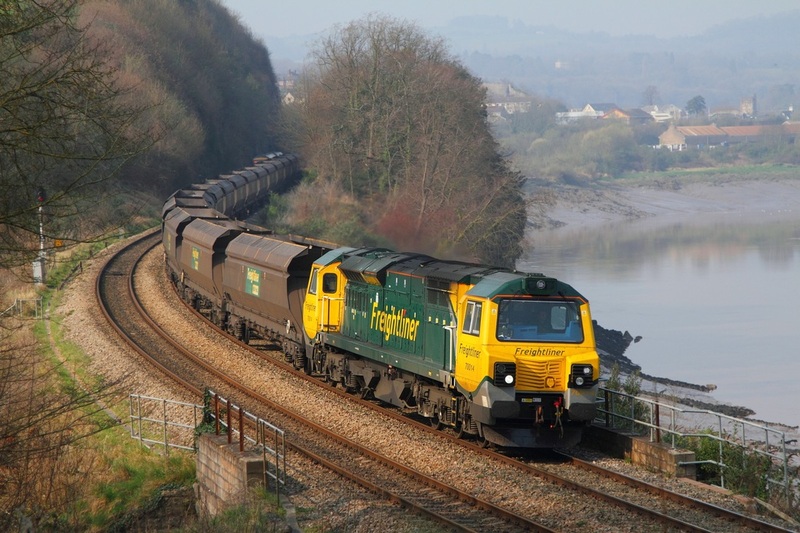 The Growlers and Dred would also visit Cwmgwrach, Jersey Marine, Gwaun-Cae-Gurwen Branch and Swansea Burrows. 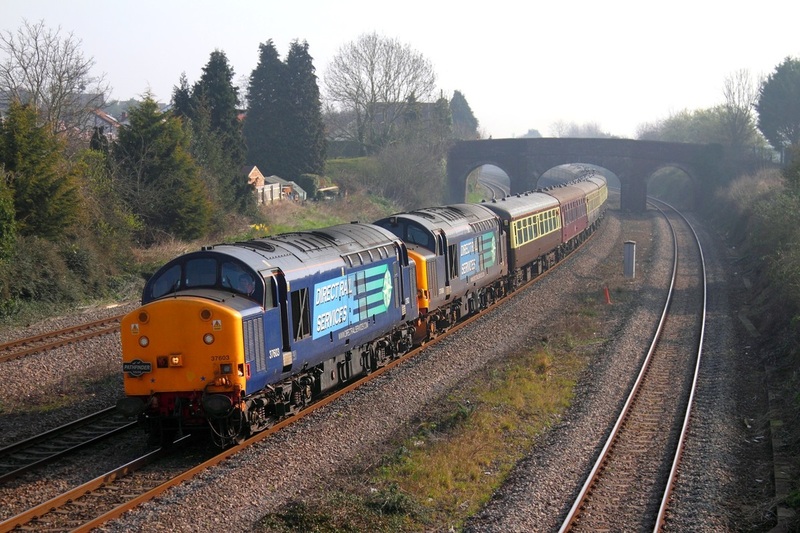 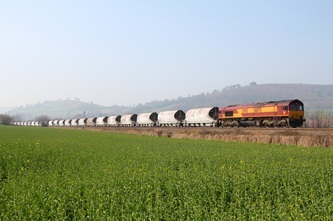 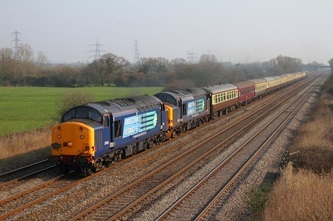 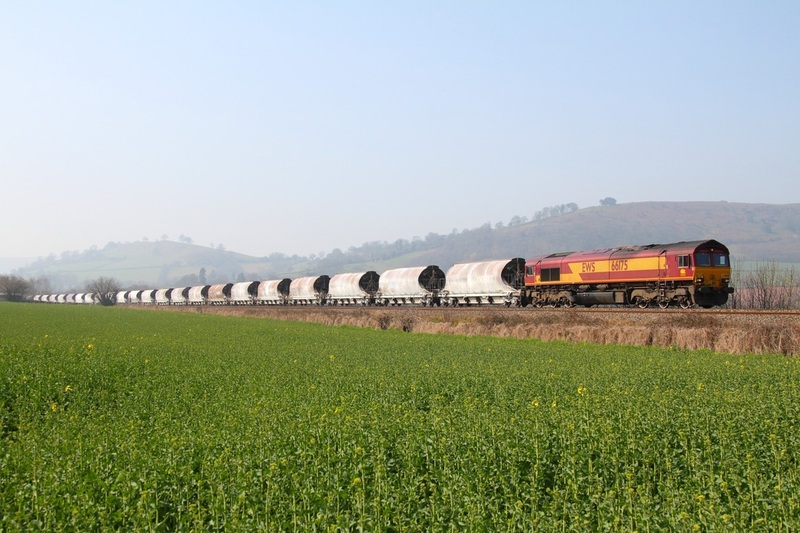 The Railtour passes Damery nearing Charfield on the 24th March 2012. 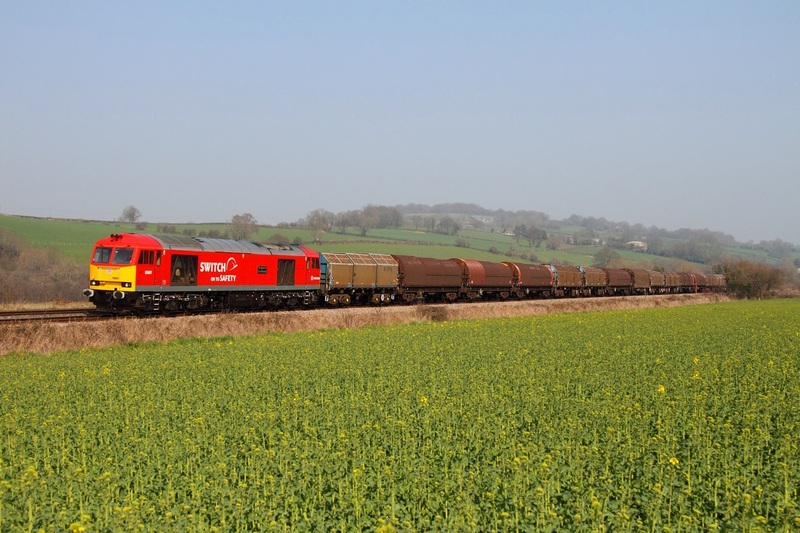 DB Schenker's 60007 powers the 6V75 Dee Marsh to Margam empty covered steel at Pandy on the 24th March 2012. 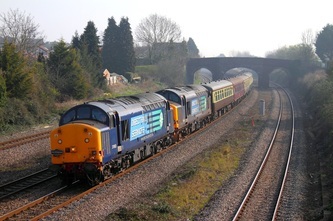 Freightliner's 70014 rounds the curve at Thornwell powering the 4V20 Rugeley to Cardiff Pengam coal on the 24th March 2012.